Dirk MacDonald Wellham (born 13 March 1959) is a former Australian cricketer who played in 6 Tests and 17 ODIs from 1981 to 1987. Dirk Wellham is one of two players to score a century in both his first class and Test debuts. He was the first player to captain three Australian states having captained New South Wales, Tasmania and Queensland during his career. As NSW captain, he won the Sheffield Shield in 1984–85 and 1985–86 and the McDonald's Cup in 1984–85.He is the nephew of New South Wales first-class cricketer Walter Wellham. Welham was born in Marrickville, New South Wales and attended Ashfield Boys High School. After scoring two centuries for New South Wales in the 1980–81 Sheffield Shield, including 100 against Victoria on his first-class debut, Wellham was selected for the Australian team to tour England in 1981. On tour, Wellham scored 135 not out against Northamptonshire and was chosen to make his Test debut in the sixth Test at The Oval. Wellham scored 24 and 103, thus becoming the 12th Australian batsman to score a century on Test debut. Wellham's century was criticised by some commentators for being too slow and costing Australia a chance of victory. 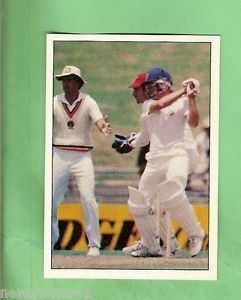 After scoring his first 80 runs in under 90 balls, Kim Hughes sent a runner onto the field to tell Wellham to take his time as the series had already been lost and the result didn't matter. Wellham's 103 took 221 balls and he was on 99 for 25 minutes. He was dropped from both the Test and state teams in the next season, but returned in 1983–84 as captain of New South Wales, winning the first of two consecutive Sheffield Shields that year and a McDonald's Cup in 1984–85. 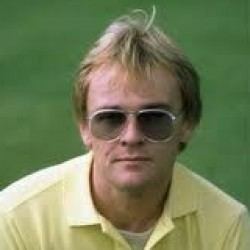 Wellham was recalled to the Australian team for the final Test of the 1985 Ashes tour and again for the final Test of the 1986–87 Ashes series scoring just 36 runs in these two matches. Wellham played 9 of his 17 one day international matches in the 1986–87 World Series Cup, the highlight being 97 against England at Sydney in a match more famous for batsman Allan Lamb hitting Bruce Reid for 18 runs in the final over to win the match. At first-class level, Wellham scored 8662 runs at an average of 42.25 and scored 16 centuries. In 1987–88, Wellham moved to Tasmania for the 1988–89 season and captained the side for three seasons. In 32 matches for Tasmania, Wellham scored 1629 runs at an average of 39.73 scoring 15 fifties but no centuries. At the start of the 1991–92 season, Wellham moved to Brisbane to take up a teaching position with the Anglican Church Grammar School. He joined the Eastern Suburbs club and was selected for Queensland. Wellham scored 873 runs at 58.20 including two centuries, his best run-scoring season since 1982–83. On 11 December 1992, Wellham captained Queensland for the first time, thus becoming the first player to captain three Australian states. He captained Queensland in 8 first-class matches that season including their loss to NSW in the Sheffield Shield final. Wellham played three more matches for Queensland in 1993–94 before retiring from first-class cricket. Wellham had a reputation as an astute captain, having led NSW to consecutive Sheffield Shields in the 1980s. Wellham was involved in an incident at the Junction Oval in Melbourne when, after discussing with the Victorian Coach and on the way out to bat after lunch, that the coach should not stand next to the sight-screen during an over, in a Sheffield Shield match, he swiped his bat at the players gate. A piece of the gate broke off and injured a bystander. Wellham apologised for the incident. Wellham previously served as Deputy Principal (Academic) at Anglican Church Grammar School. 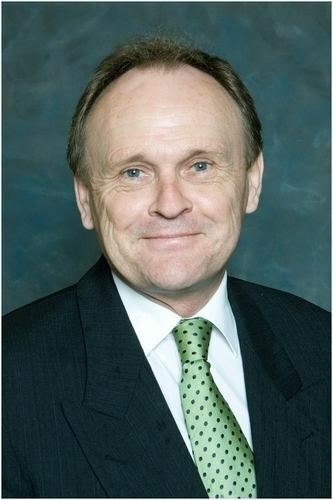 He has been appointed as Principal of Caloundra City Private School, commencing 2013. He received a PhD from Deakin University in 2009.